_Horsehead is an experimental short-film based on the short-story “Wish to be a red Indian” by Franz Kafka. The story is taken from a collection of short-stories called “Contemplation”. This is the 4th Kafka short-story that was transformed into a short-film by Julian van Grey. Also taken from “Contemplation” are the shortfilms “Resolutions”(2003) and “Passenger”(2008). Other short films based on Kafka short-stories are “Home-Coming”(2004) and “Big Noise”(2006). _Wenn man doch ein Indianer wäre, gleich bereit, und auf dem rennenden Pferde, schief in der Luft, immer wieder kurz erzitterte über dem zitternden Boden, bis man die Sporen ließ, denn es gab keine Sporen, bis man die Zügel wegwarf, denn es gab keine Zügel, und kaum das Land vor sich als glattgemähte Heide sah, schon ohne Pferdehals und Pferdekopf. 2 Films, 2 Festivals … Popcorn! 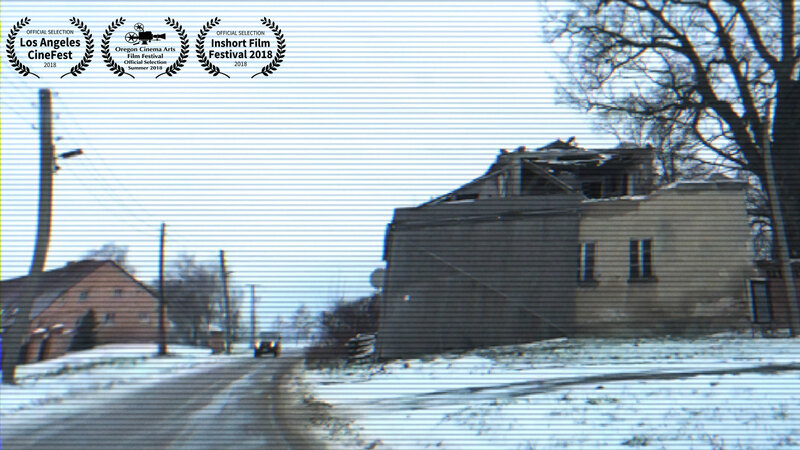 Generally Not #3 is selected Finalist at Toronto Alternative Film Fest (Spring 2019) in the Category Best Experimental. The festival takes place March 18th, 2019 at 6:30 p.m.
at 2469 Dundas St. West, Toronto. 1min #4 is selected for 60 Second Intl. Film Festival in Pakistan.